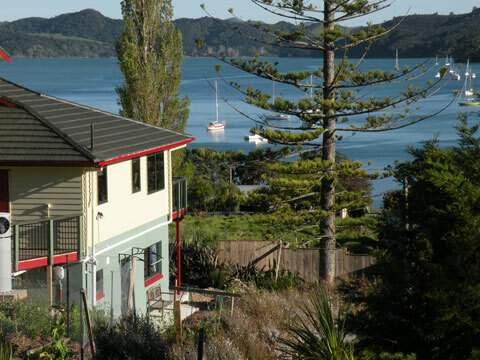 Accommodation offers stunning views of McLeod Bay and Mt Manaia from one queen bedroom with ensuite and two twin rooms with a shared bathroom, lounge and kitchenette, sauna and streamside meditation area. All the rooms have private decks and wifi. Packages including yoga, pilates, personal training, massage, nutrition, meditation, nature walks and other activities are available. A wide range of dietary requirements can be catered for. Ask us how to make your retreat, accommodation and travel expense Tax deductible.